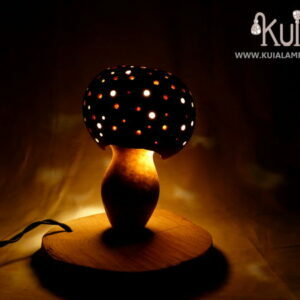 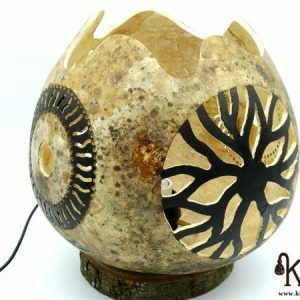 Design table lamp.Spectacular design lamp created with two different gourds. 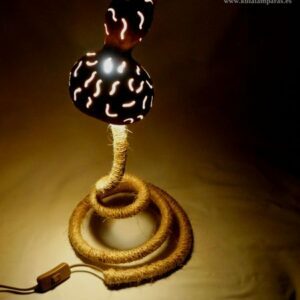 On the one hand, a lamp base composed of a pumpkin, painted in red, from which comes a tube lined in black. 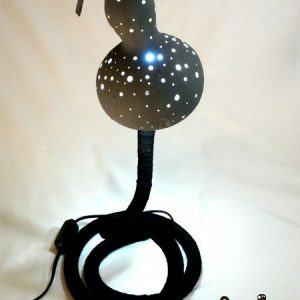 In the upper part, as a tulip, a spherical gourd worked milimetrically looking for a unique carving. 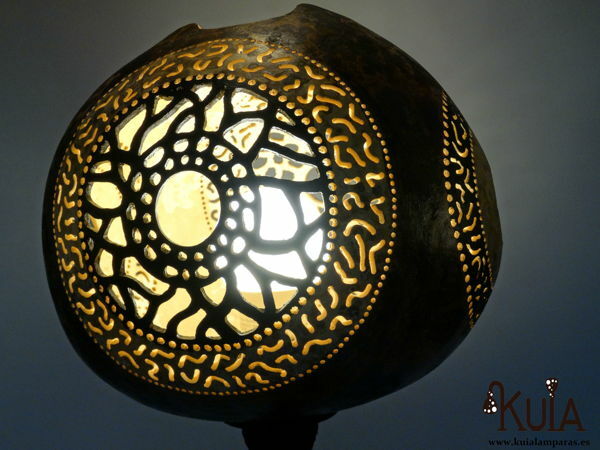 Composed of 4 circles of different diameters and different drafts each. 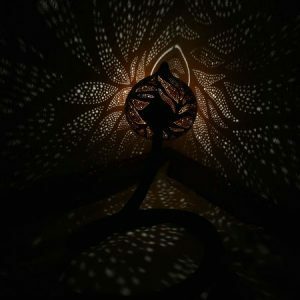 The main drawing is composed of a network of branches, like that of a spider’s web, and the other drawings have different drafts that it is best to appreciate in the photos. 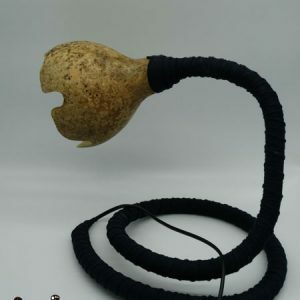 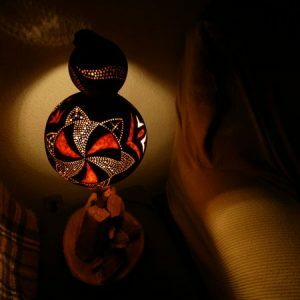 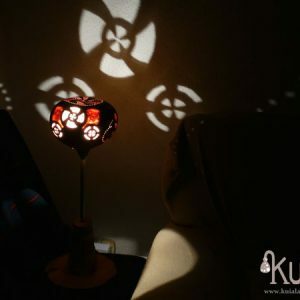 A unique lamp, with a unique design, if you are looking for a special decoration this is your lamp because it is of unique production and you will be the only person in the world to have one like this.